Welcome back to the continuance of your journey toward increased physical ﬁtness and a deeper connection to the Force. At this point you have begun to alter your behavior and started the life-long journey of mastering yourself by acquiring and cultivating discipline (see Part 2) through positive action via a ﬁtness and dietary plan. This action and the rewards it reaps are the main topic of this lecture. Positive action, such as proper diet and suﬃcient exercise, is very diﬃcult at ﬁrst but with time and devotion this change in lifestyle becomes less of a challenge and more of an enjoyment once one witnesses the fruits of labor come to bear. I mentioned adhering to a plan in my last installment in order to keep the ﬂame of desire alive and to further nurture it with discipline so that it needs only minimal tending. I also oﬀered some details with regards to my own plan concerning diet and exercise so as to inspire readers or, at least, point them in a general direction as one plan may not suit everyone. There are many dietary and physical ﬁtness constructs out there. So many that it boggles the mind and can be extremely intimidating. The key here is to understand one’s exact problem with physical ﬁtness and setting realistic and feasible goals to over come them. Of course, people usually fall on either side of the dichotomy of either being overweight and looking to lose weight or are underweight and are seeking to gain lean muscle mass. If one is considered to be overweight, which can be veriﬁed by a body mass index (BMI) test and even by a qualitative analysis of one’s health, then the journey tends to be far more diﬃcult and requires more discipline to achieve a desired end-state. For this particular problem set, it is imperative to ensure that one does not overeat through portion control and operating in a caloric deﬁcit; meaning that one burns more energy through activity and maintenance of current body weight (i.e. energy homeostasis) than calories consumed. It is a simple equation: Calories Out > Calories In = Weight Loss. One’s calorie outtake is heavily dependent on their normal, daily level of activity and exercise. If one’s job requires hours of manual labor each day then a higher daily caloric intake is required to maintain energy homeostasis (the energy expenditure of normal bodily functions) as opposed to a sedentary, desk-job counterpart. Calories burned through exercise must be taken into consideration as well. A tool worth investing in is a heart rate monitor. Aside from calories burned during an activity, these gadgets monitor other helpful body metrics that will give one greater understanding of one’s level of physical ﬁtness and and sometimes interface with calorie counting applications, which I will address later. Ensuring that one achieves a daily caloric deﬁcit by replacing calorically dense, packaged and convenient “junk food” in favor of fresh, whole and nutritious sources of sustenance that will leave one feeling more satiated because more of it may be enjoyed as opposed to the other. Many applications for smart phones can help track one’s daily food intake using bar code/UPC scanning functions to automatically upload nutritional data for meal items and serving size quantities can be adjusted using ancillary devices such as food scales, measuring cups and spoons in an eﬀort to be more precise. This is tedious work that requires time and thought but it is good, healthy practice to create an understanding of what serving sizes are and how many calories are in food. This is also a way of ensuring that one is disciplined in their consumption. Food should sustain a Jedi and power him or her through the day and not be consumed in excess. However, it is imperative to ensure that one is fair in the assessment of daily activity level (which is typically asked in the set-up phase of these applications or can be found in the settings) and include the calories burnt during exercise. These algorithms for daily caloric goals are speciﬁcally designed to incorporate these variables and are also dependent on one’s current weight. Failing to incorporate these calories burned (both for normal activity and exercise) can cause one to feel light-headed and ill as proper sustenance is not achieved. Additionally, this can cause one’s eﬀorts to backﬁre as the body will begin to enter a starvation and fat-storing mode. It is important to eat as close to the required amount of daily calories without going over to achieve balance and to continuously verify and/or update one’s weight within the tracking mechanism at least weekly so that one is hitting the right caloric intake to meet weight loss goals. The same guidance and cautions must also be taken when trying to gain muscle mass or “healthy weight.” However, one must be consuming above the caloric requirement for energy homeostasis to maintain current body weight. That does not mean that these “extra” calories should come from poor sources of nutrition as mentioned above but through good sources of macronutrients (carbohydrates, proteins and lipids) needed to create muscle. Macronutrients or “Macros,” as some refer to them as, are also very critical to monitor and calculate for those that are ﬁrst starting out and need to hone their discipline. Eating desired levels of macronutrients for weight loss or weight gain is critical. It does no good for one to eat nothing but lettuce to loose weight as he/she is robbing themselves of other critical macronutrients, such as protein to fuel and repair the body after activity. Also, eating protein in excess in order to gain muscle mass can also be counter-productive for the same reasons. Dietary balance must be achieved in order to obtain desired results. Water consumption is also very critical. Water hydrates and keeps the body functioning through facilitating metabolic processes and the absorption of the before mentioned macronutrients. It also contains helpful micronutrients such as salts and calcium that are also beneﬁcial. The quantity of water that one is to consume each day is hotly debated but, I believe if you listen to your body and to the Force then you will consume the right amount. Water should be one’s primary source of hydration. Energy drinks and sugary, carbonated beverages are not beneﬁcial to the body; even if they are sugar free or labeled “diet.” Avoid these at all costs and replace them with water—the most important and life-sustaining substance on Earth. A way to make water more enjoyable until one learns to love its taste is by adding naturally squeezed lemon to it. Aside from providing a favorable taste, it helps purge the liver of toxins and puts one’s body into an alkaline state which is believed to make the body less susceptible to diseases such as cancer. Other beverages such as coﬀee and tea can be beneﬁcial in moderation as naturally occurring antioxidants and stimulants (caﬀeine) can be found within. These can sometimes be helpful in powering workouts if consumed prior to strenuous activity. On the topic of exercise, it can feel daunting to most when starting out. The idea of putting oneself through a bearable amount of torture (elevated heart rate, sweating, corporal stress and heavy breathing) is not very appealing. However, it is necessary for one to improve physically. However, it gets easier and easier and eventually one’s body craves it after a while due to the release of hormones called endorphins. For those looking to lose weight, cardiovascular training, “cardio,” or aerobic training is the most obvious answer with regards to exercise solutions as it is most beneﬁcial when it comes to burning fat. Cardio is performed at low-to-moderate intensity (approximately 40% to 60% of one’s maximum heart rate) through propelling the bodyweight through some form of motion which uses oxygen as the means of breaking down the glucose in one’s cells for energy. One’s fretful mind often goes to endless hours running on treadmills or hard pavement when thinking of cardio. This does not have to be the case. While running certainly has its merits, doing it for too long can be boring to some and harmful on the joints if running form is poor. Cardio can be achieved through weight training by incorporating lighter weights with higher repetitions. However, a good swim, bike (both being low-impact exercises) or a trail run through nature can’t be beat for a good cardio exercise. For those searching to build muscle, strength and power, anaerobic (breaking down glucose for energy in the absence of oxygen) exercises such as short, high intensity (approximately over 60% of one’s maximum heart rate) exercises such as heavy weight training at fewer repetitions are the typical go-to solution. One knows that he or she exercised anaerobically if a burning sensation is felt in the muscle with soreness the next day due to the build-up of lactic acid from the muscle cells breaking down glucose in the absence of suﬃcient oxygen. When thinking of anaerobic workouts, one’s mind goes to bench presses and curls to make muscles pop out for a preferable appearance. While wanting to look attractive is a ﬁne goal, a Jedi should be more concerned with being a good vessel for the Force that can perform all physical feats expected of him or her. As a Jedi must master his or her thoughts, one must be able to master the body. With this in mind, functional muscles movements to improve strength, while also helping with muscle deﬁnition, can be achieved with olympic style lifts such as deadlifts, squats, snatches and cleans. Each of these movements taxes all major muscle groups and increases one’s strength in performing natural and practical movements that may assist a Jedi in the conduct of his or her duties. Females are often wary of this type of training for fear of looking “bulky” or “manly.” This is a falsehood and should never be used as an excuse to train in this manner. Anaerobic training is beneﬁcial for both men and women. While daily to near-daily exercise is important, it is also crucial to perform appropriate pre and post exercise stretching to minimize the chance of injury and to train both aerobic and anaerobic energy systems through workouts that combine both methodologies such as high intensity interval training (HIIT). With HIIT, one transitions in and out of these energy systems by performing high intensity work broken up by short rest periods. The key is to keep things varied; not just for the beneﬁt of the body but, for the mind as well. Doing the same thing every day, week after week, month after month will cause performance to plateau and generate a sense of resentment for exercising. Keep things new and interesting so that the body continues to improve and adapt to diﬀerent challenges and so that the ﬂame of desire remains alit. Discipline is easier to maintain when one is excited about the prospect of exercise. 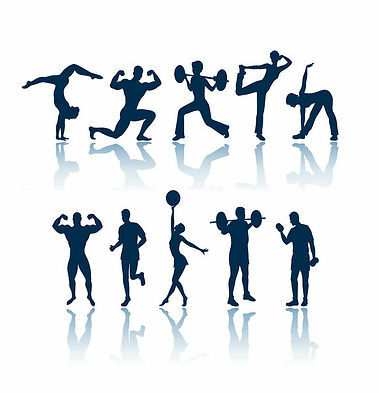 To conclude the topic of exercise, any form of it will be mentally beneﬁcial as it helps to reduce stress and makes one feel euphoric by the bodies release of the chemical called endorphins, as I mentioned earlier, that serve as natural pain relievers upon experiencing physical stress. If one eats properly and exercises regularly then eventually a Jedi will see great changes to their physical, mental and emotional self. With the loss of weight, the gaining of muscle and the body rid of harmful chemicals, a Jedi will begin to feel the Force more fully and begin to taste the sweet fruit of conﬁdence. With this conﬁdence, provided by a positive self image and understanding of one’s potential and performance, more doors of opportunity will open to you and the Force will reveal itself more readily as you are an overall more positive conduit. This is what I want for you, Jedi, to feel this conﬁdence, this love and understanding of the self. Trust in me and in the Force and you can achieve this and experience all your eﬀorts come to realization. Remember being fueled by desire, demonstrating personal discipline and committing to healthy action will lead to the fruition of one’s true potential in the Force.